A stoneware box of globular form, supported on a short, recessed foot. The domed cover is evenly divided and deeply carved with six overlapping petals. It has a finial in the form of a naturalistically modelled stalk. 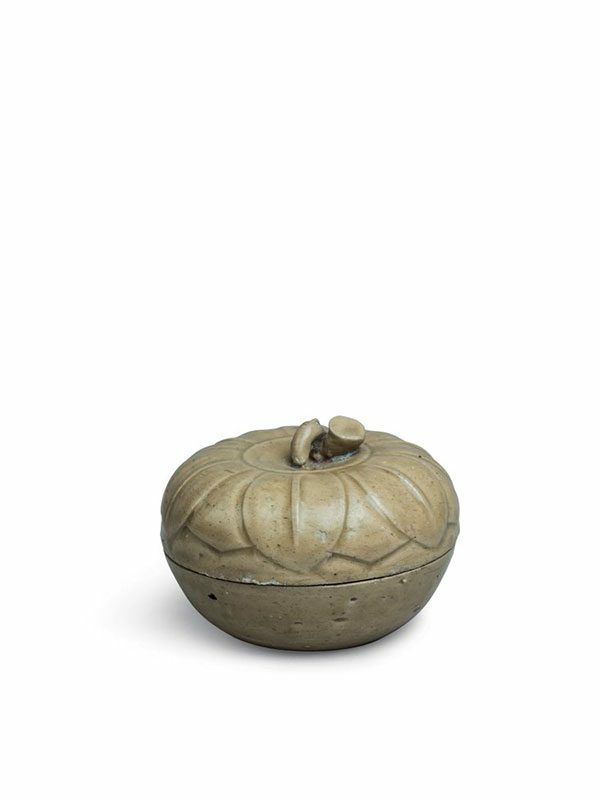 Both the interior and the exterior of the box are entirely covered in a translucent greyish green glaze of yellowish tone, leaving only the rims unglazed and revealing the buff stoneware body. The base has clusters of kiln grit adhering.